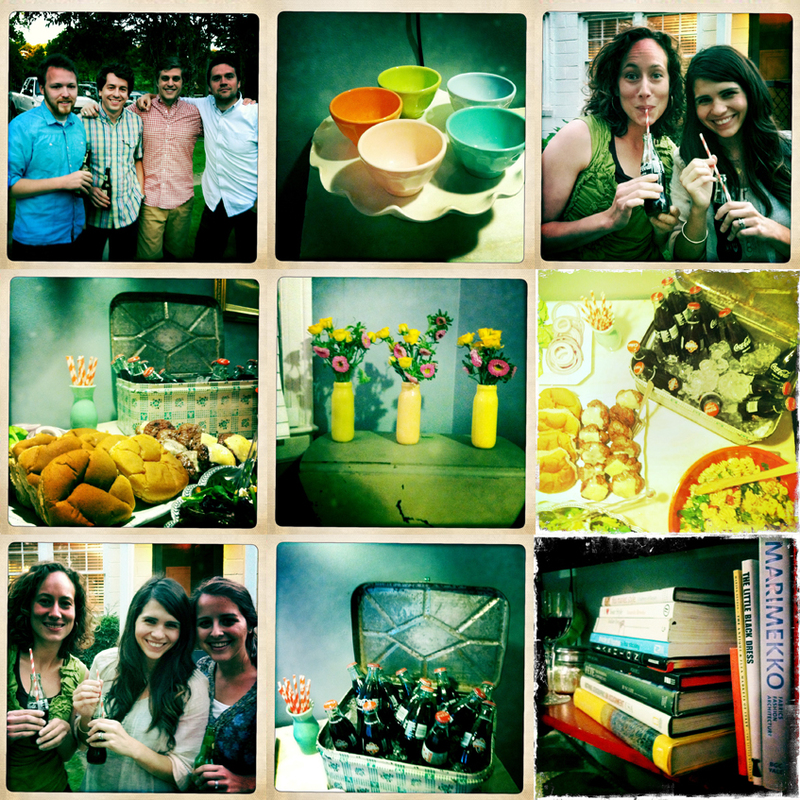 Clark and I recently hosted a cookout at our house for the dear friends that we made in Birmingham. Inspired by the vintage green breadbox that I found at the Southern Living prop sale, I filled it with ice and used it to hold the bottled cokes. (the prop sales are just one of the many perks of working at SL - sad to have left such a great opportunity!) I also served burgers, salad, cobbler and ice cream for dessert. We put down quilts in the front yard and stayed up late talking, laughing and eating! We will miss our friendships, neighbors and being able to see the A Bryan Photo team on a daily basis. What a great way to end our sweet time in Birmingham - we only wish it could have been longer!